Gabriel (Dermot Murphy) is a talented drummer. But just before the breakthrough, the band threatens with his ejection – the guys are fed up with his extreme mood swings, which he urgently needs to get a grip on. His doctor diagnoses a bipolar disorder and advises him to a therapeutic football training. On the field, Gabriel clashes with goalkeeper Christopher (Jacob McCarthy), who suffers from Asperger syndrome. From Ireland, this small, but extremely fine film, has found it’s way to the International Film Festival Emden-Norderney. Director Nick Kelly, who also wrote the screenplay, succeeds in creating an unconventional film that touches deeply, but at the same time shows us, what is going wrong in our society. Because often – if not even always – we reduce a person with Asperger’s or a bipolar disorder to their illness and forget, that there are way more other things, that shape their personality. Also, the aspect of Asperger’s syndrome is not completely foreign to Kelly, because his own son is autistic. No wonder the characters in THE DRUMMER AND THE KEEPER are so real and authentic. The supporting actors in the scenes that take place in an institute are also members of an autistic drama group. Before the shooting began, his producer asked him, if that was not too difficult, but Kelly countered that finding ten actors and making them all play different aspects of autism would have been much more complicated. 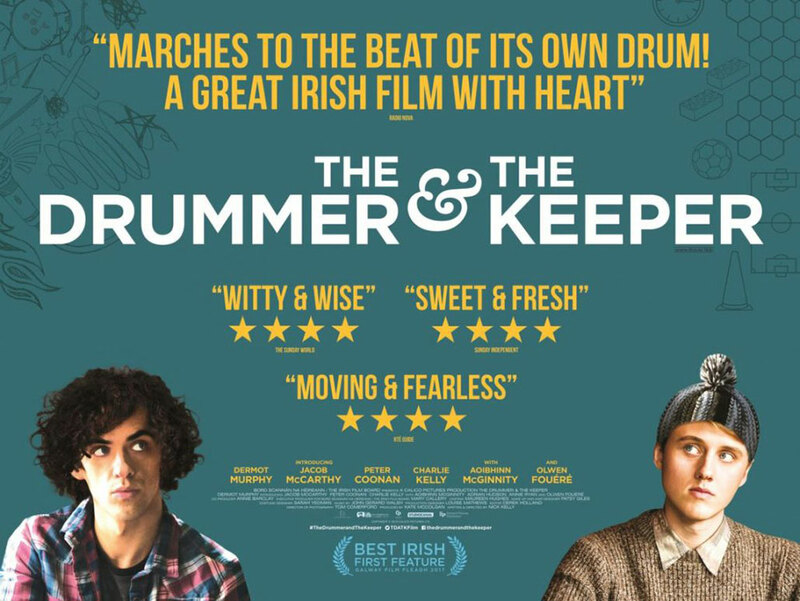 THE DRUMMER AND THE KEEPER is a wonderful movie that will hopefully somehow find its way into our theaters or homes. There’s rarely been a film about the mentally ill, that’s been so authentic and affectionate. At the International Film Festival Emden-Norderney I had the chance to talk to director and screenwriter Nick Kelly about his film THE DRUMMER AND THE KEEPER. Nick Kelly began his career in the 1990s as a singer and songwriter for the Irish band „The Fat Lady Sings“, released four solo albums, partly under his stage name Alien Envoy, and is considered one of Ireland’s most innovative independent musicians. Since 2003 he has been working as a scriptwriter and director and has made several short films that have been screened and awarded at film festivals worldwide. The short film „Shoe“ received an Oscar nomination in 2011. With THE DRUMMER AND THE KEEPER he gives his feature film debut, which was awarded „Best First Irish Feature“ at the Galway Film Fleadh.